Tuna, oh tuna. Tuna and I kind of have a love hate relationship. I want to love it but most of the time I don’t. Yet, tuna (a good, clean source of tuna) is soooo good for you! 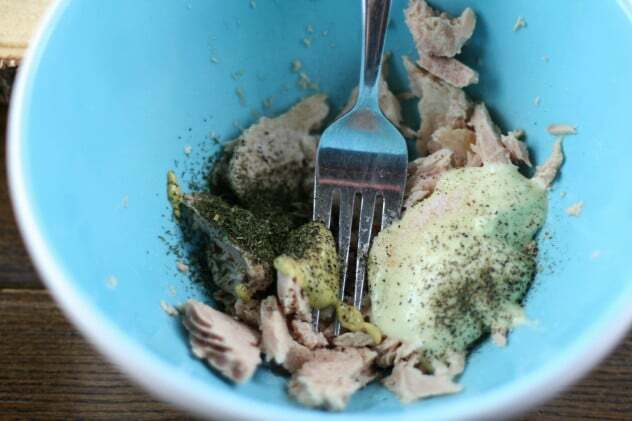 Full of Omega 3 oils and protein, you can’t beat a healthy snack like this. What I quickly realized was that it wasn’t tuna itself I didn’t like, it was the cheap brand I was attempting to like. Fast forward to today’s recipe and I fell in love! 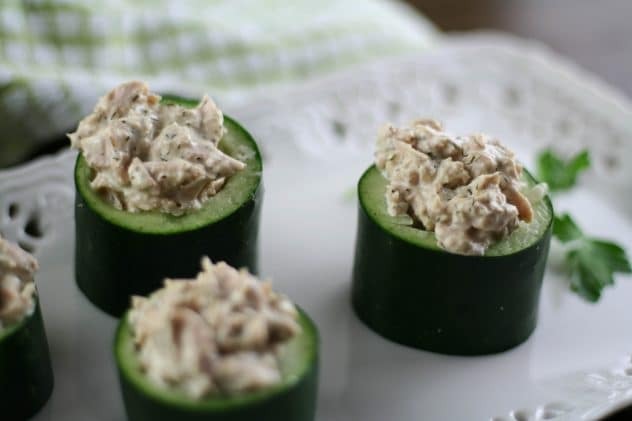 Keeping with this week’s Easter theme, these cucumber tuna cups are a super easy, super healthy side dish you can bring to the table (especially if you’re lucky enough to have beautiful weather for an outdoor Easter picnic or grill session). 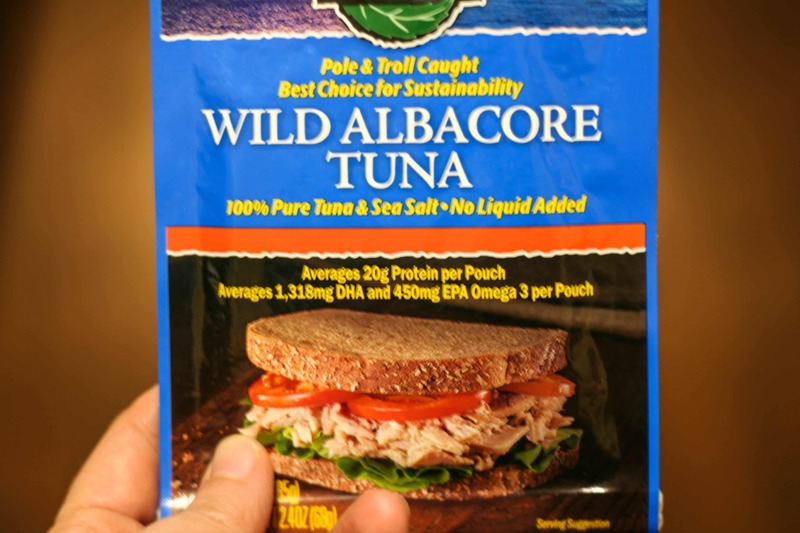 I found this brand of tuna at my local Sprouts, 100% pure wild albacore tuna, no extra liquid or junk added. Nothing but tuna and seat salt! Add in some mayo, dijon mustard, and my secret ingredient (dill weed) that takes these over the edge and you have a nom nom good side dish. 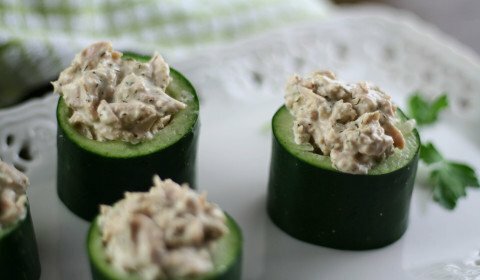 I really wanted to try this recipe with English cucumbers but I didn’t have any handy, so, I settled for regular ol’ cucumbers. On the positive side, they still did the job. 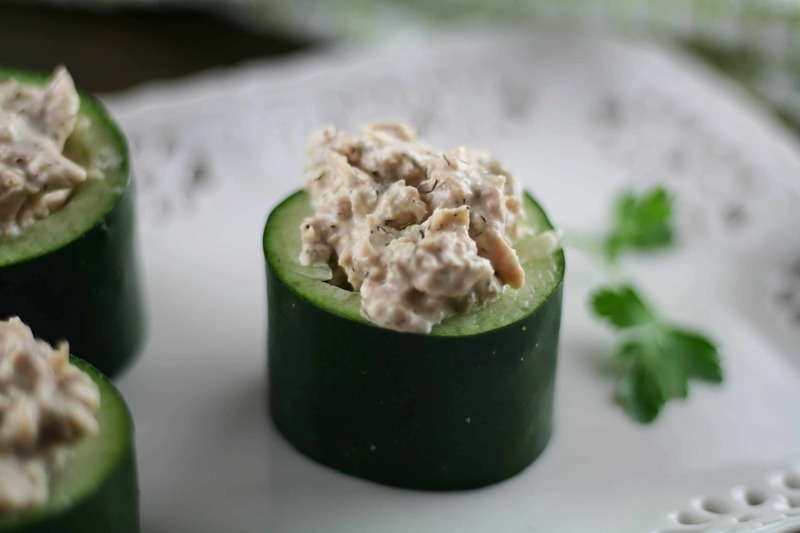 If you get the chance, try this recipe out with English cucumbers. 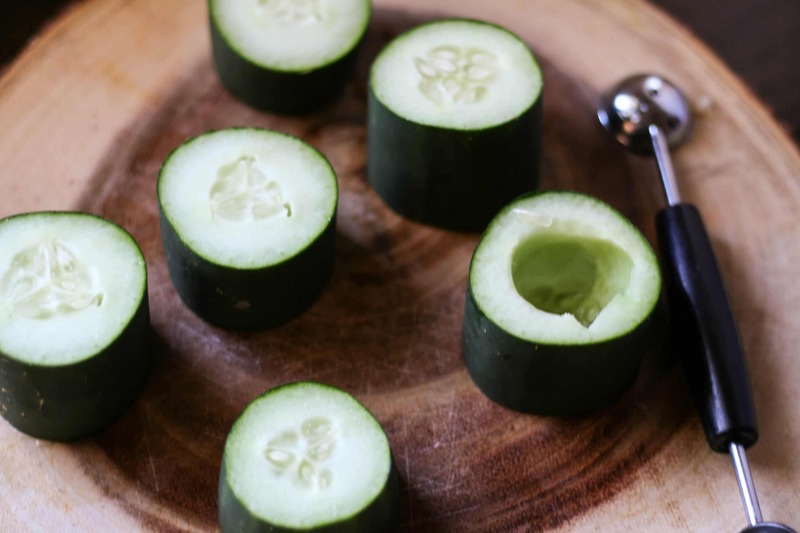 Cut your cucumber into about ½ to 1 inch slices. I went a little thick and I think I’ll go a little thinner for the next round. You need them deep enough to be able to scoop out the center but not too thick that they’re difficult to eat. Either way these make a perfect, crisp, tasty snack!